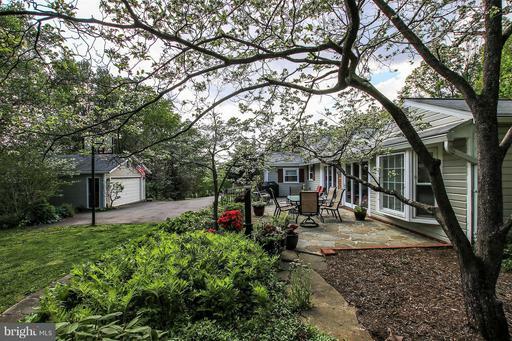 OPEN 3/31 2-4pm ** Renovated 3 bedroom, 3 bath farm house with separate cottage with 1 bedroom and 1 bath is located in an idyllic setting off a private road on a magnificent, private 2 acre open lot! 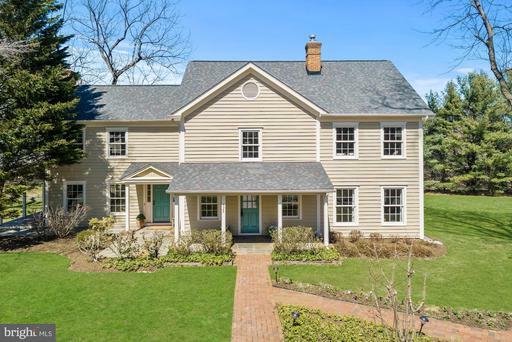 Charms of yesteryear and the original log cabin dating back to the 19th century harmoniously intertwine with the spacious floor plan of the latter-day farm house renovation. Modern convenience and Great Falls~ natural charms invite a feeling of a more tranquil, unhurried lifestyle and an escape from everyday pressures. Inviting front porch with side covered porch to relaxing deck * Living room with brick fireplace and wide plank oak floors * Eat-in kitchen with new flooring, inset white cabinets, Silestone counters, and breakfast bar * Family room with exposed hand-hewn timbers and stone fireplace with Jotul cast-iron stove * Formal dining room with exposed timbers inset windows * Master suite with exposed brick and timber walls, walk-in closet and renovated bath * Updated second bath * 4th floor walk up attic could be additional bedroom * Rear load 2 car garage * Detached cottage with full bath - a great guest suite, office, or in-law suite * Rustic barn * Beautiful 2 acre setting with mature shade trees and room to play * Great location with country feel yet so close to Tysons, Reston, Airports, and Great Falls Village!